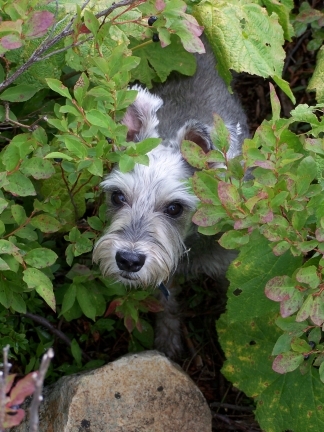 If you are not familiar with our wonderful huckleberries, either you don’t eat fruit or you live under a rock …. 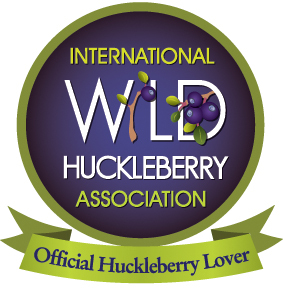 No, seriously, I would like to share some general information about huckleberries. 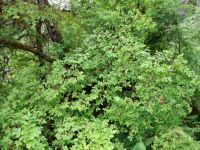 … Huckleberry is a name used in North America for several plants in two closely related genera in the family Ericaceae: Gaylussacia and Vaccinium. 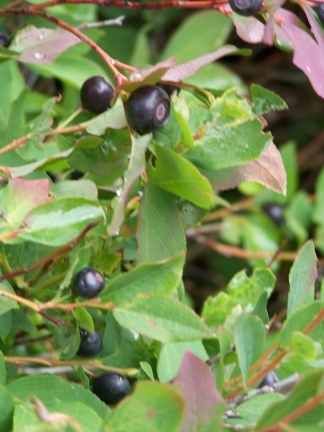 The Huckleberry is the state fruit of Idaho. 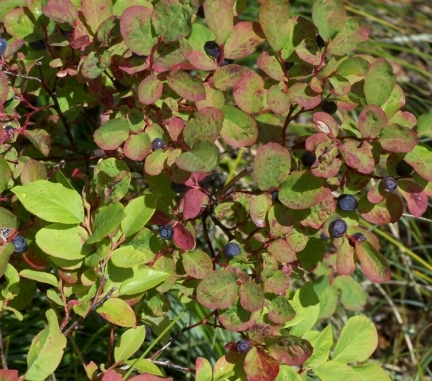 While some Vaccinium species, such as the Red Huckleberry, are always called huckleberries, other species may be called blueberries or huckleberries depending upon local custom. Usually, the distinction between them is that blueberries have numerous tiny seeds, while huckleberries have 10 larger seeds (making them more difficult to eat)…. 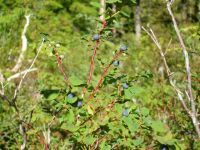 … If you’ve never seen a wild one, the berries are small and round, 5-10 mm in diameter and look like large (relatively) dark blueberries. 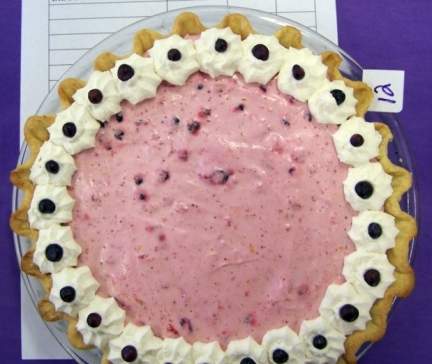 Some are tart and some are sweet (much like teenage girls as I recall dimly). 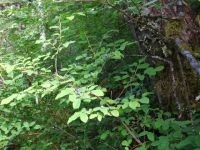 Huckleberries are found tasty by birds, deer, humans and bears. Never disturb a bear with blue/purple chops. 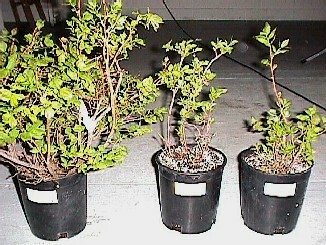 Red huckleberries can be found in the maritime-influenced plant community from coastal Central California to southern Washington and British Columbia. 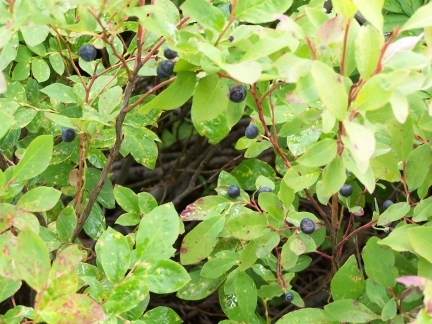 If you wander inward in an easterly direction to the mountains of Montana and Idaho, you will find black and blue huckleberries in mid-alpine regions up to 11,500 feet in elevation. 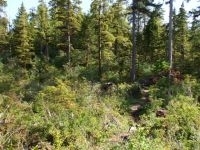 The plants grow best in damp acidic soil having volcanic origin, explaining their presence in the coastal Northwest. They can grow to heights of one to two meters…. 93 mySQL queries in 0.177 seconds.